The people of Arizona have been changing their minds about marijuana use. A decade ago, marijuana was completely illegal. When the Arizona Medical Marijuana Act took effect in 2010, the debate about legalizing the drug completely began. It needs to be stated that marijuana is still illegal in the state. We will go over the penalties for illegal marijuana use and possession in a moment. 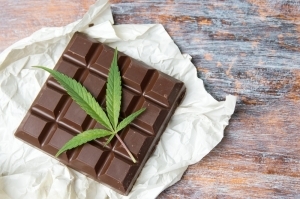 The Arizona Supreme Court recently heard oral arguments about whether or not edibles and other marijuana extracts are protected under the AMMA. In State of Arizona v Rodney Jones, the court was asked to determine the legality of hashish, which is the resin from a marijuana plant. 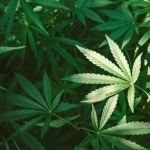 They needed to determine whether hashish is to be considered the same as the plant itself. The Yavapai County prosecutor handling the case, Benjamin Kreutzberg, said that voters did not intend for anything other than the marijuana flowers and leaves to be used for legal medical purposes when then voted on the AMMA. He claims that everything else is illegal. Rodney Christopher Jones was arrested in 2013 for possession of .05 of an ounce of hashish even though he had a legal medical marijuana card. He was eventually sentenced to two and a half years in prison and was released in 2017. The Arizona Court of Appeals concluded in a 2-1 decision that hashish is not legally the same as the plant itself. Chief Justice Scott Bales also questioned the prosecutor, saying that his reading of the law would mean edible and extracts would be illegal. Others say that if this ruling is upheld then hemp may also end up becoming illegal. While it will take some time for the court to make its ruling, we need to talk about what still is illegal in Arizona. If a person does not have a valid medical marijuana card then getting caught with marijuana will likely result in a criminal charge. While 33 states and the District of Columbia have legalized the use of the drug, Arizona is not one of them, even though opinions on the matter are changing amongst voters. In Arizona, a person found in possession, using, selling, or producing marijuana can face various charges that are dependent on the amount a person is caught with. Penalties range from Class 6 felony to Class 3 felony charges and can land a person in jail for 6 months to seven years with fines up to $150,000. Even those with an MMJ card can face charges of DUI if they are found to have metabolites of the drug in their system, even if they are no longer impaired. If you have been charged with possessing, using, growing, or selling marijuana, you need to secure an Arizona defense attorney as soon as possible. Just because a majority of people in the state think marijuana should be legal does not mean that law enforcement and prosecutors will not come after you with the fullest extent of the law. Your attorney can work to have your charges reduced or dismissed so you can get back to living your life. 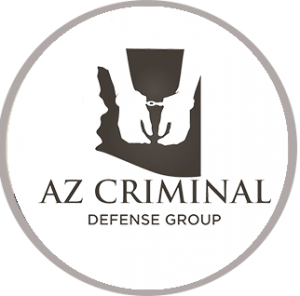 Click here for information on self defense shooting Arizona. What Happens When You Violate Probation in Arizona? 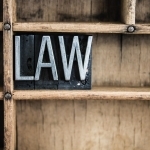 What are the Arizona Laws Regarding Possession of Drugs?